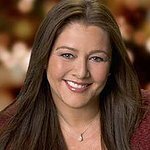 Emmy and Golden Globe-winning actress Camryn Manheim will host a special celebrity charity poker tournament at the Commerce Casino in LA in October. The second annual Ante Up! 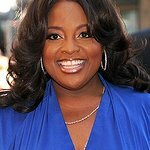 tournament will raise money for the Children’s Institute, and will feature celebrities such as Jason Alexander, Sean Astin, Brandon Beemer, Gabrielle Carteris, Joely Fisher, Edie Gathegi, Deirdre Hall, Teri Hatcher, Jennifer Love Hewitt, Cheryl Hines, Jamie Kennedy, Ricki Lake, Kathy Najimy, Kevin Nealon, Erik Palladino, Mimi Rogers and Tuc Watkins. The tournament will also feature a silent auction, with items such as a guitar signed by the Kings Of Leon up for grabs. The event takes place on October 23. Click here for more info.